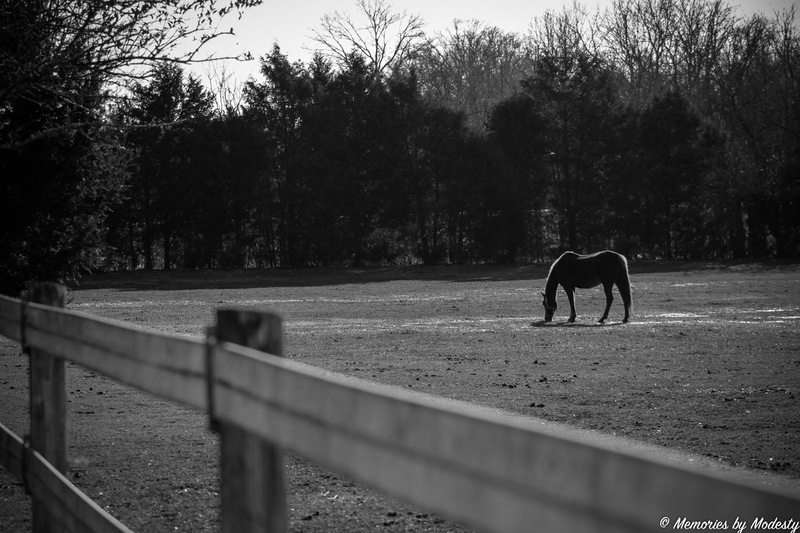 At the Fence: #Dogwood52 Photography Challenge - Week 5! This is Modesty here. Some of you may know, but I am in the process of starting a small photography business. The beginning of this year I decided I wanted to start participating in one of the photography challenges, and after looking at several of them available I went with the #Dogwood52 Photography Challenge. There is a different assignment each week that is in one of three categories (portrait, landscape, and artistic impression). I have enjoyed it tremendously so far, and look forward to the coming challenges. I will be sharing each week's photo/s here for you all to see, and I would love your thoughts on them. If you're interested in seeing some of my other photographs, you can visit my website at www.memoriesbymodesty.com. Feel free to share photos, but please link back and give credit to Memories by Modesty.